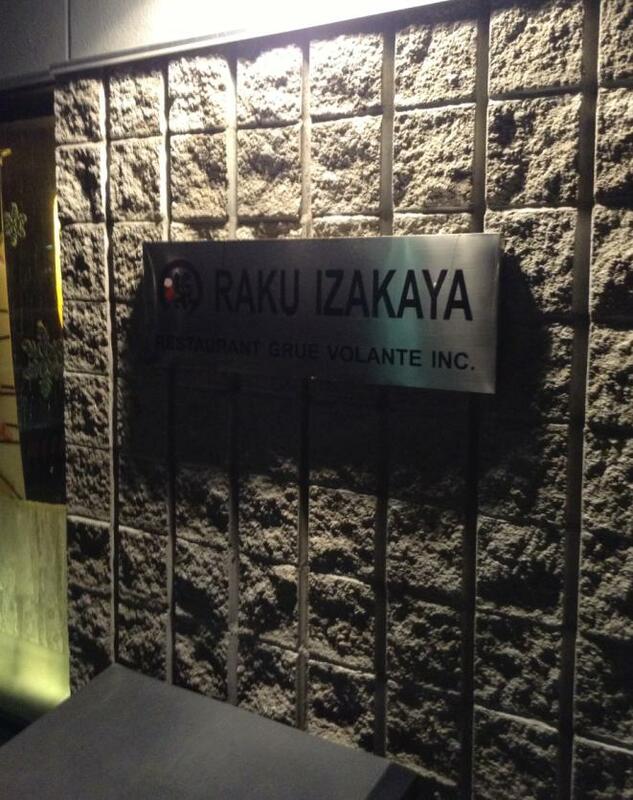 Raku is the other restaurant (after Yasu) that I ate at during a quick visit of South shore Montreal. It’s located in a mall center. 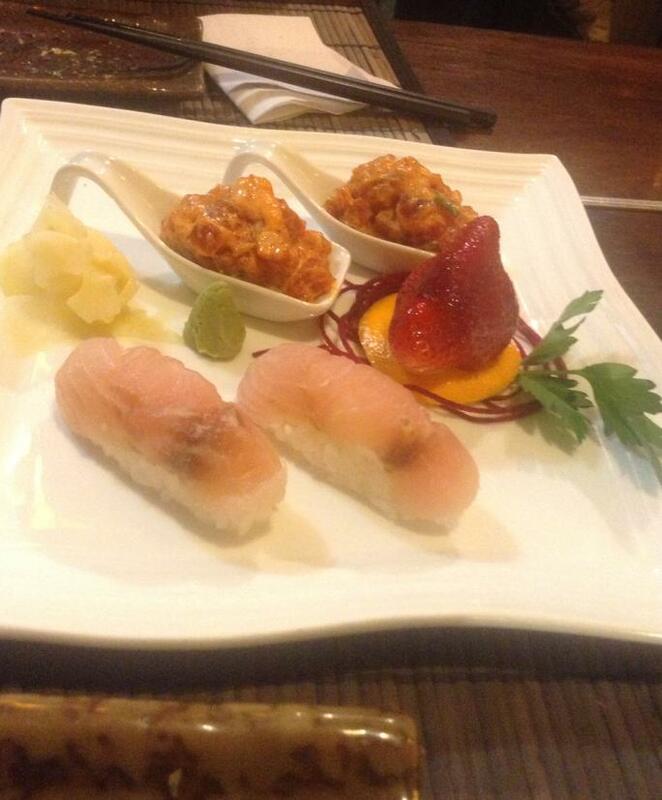 I picked the red snapper sushi. The rice packed too tight for my liking, the bite way too firm and the fish (served cold) adhering (way too) persistently to the rice (adherence is needed when crafting a piece of nigiri, but certainly not to such extent…And by stretching the flesh of the fish –over half the sushi’s height — the way they did, the texture of the flesh was consequently…unappealing??). As you’ll see later, this is a competent Chef, and at his level I doubt he can’t craft the (conventional) sushi that we know, so all I can think about is that he is perhaps bored with sushis in its conventional form and and he is trying sushi in a different way (???). You’ll certainly be critical if you head there expecting your usual conventional sushis and end up getting what I had (who knows, perhaps it’s done differently on other days), perhaps less critical when you’ll learn that many aspects of that sushi piece are not necessarily a flaw if you consider that in some parts of the world, the fish of the sushi is served colder than what you might be used to…yep, yep, and yep! That the texture of that rice is considered as ‘normal” elsewhere). Ha, you see…a totally new perspective now, Lol. Anyways, I still did not like that sushi (expecting someone like me who grew up in a fishermen village to be enthused with cold cuts of fish is a bit like expecting the moon to behave like the sun ;p) , but again…that’s (more accurately) only because I prefer the type of sushis most are accustomed to. Therefore, I can’t score this one. Verdict: 7/10 By Isakaya standards in Montreal and surroundings. 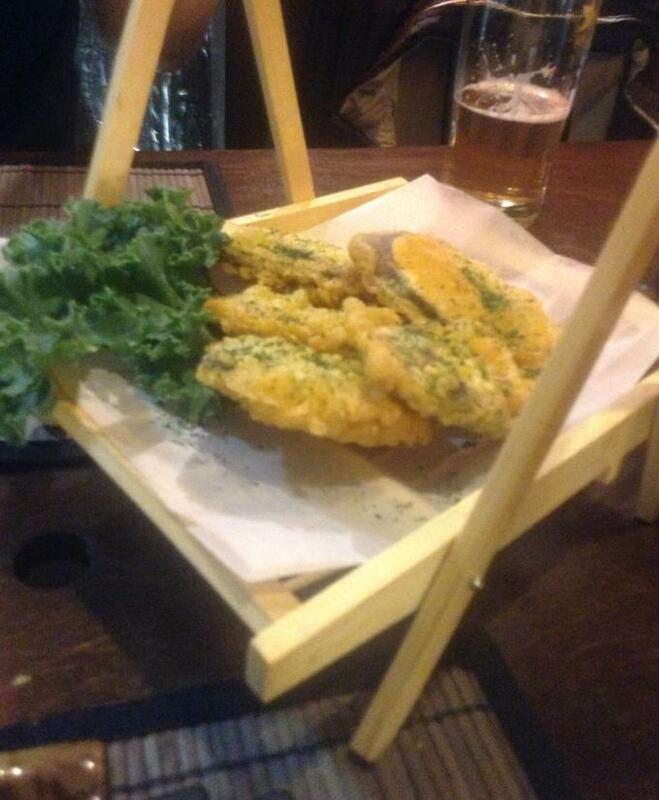 South Shore Montreal has now an Isakaya that they can be proud of. No need anymore to head to Montreal. 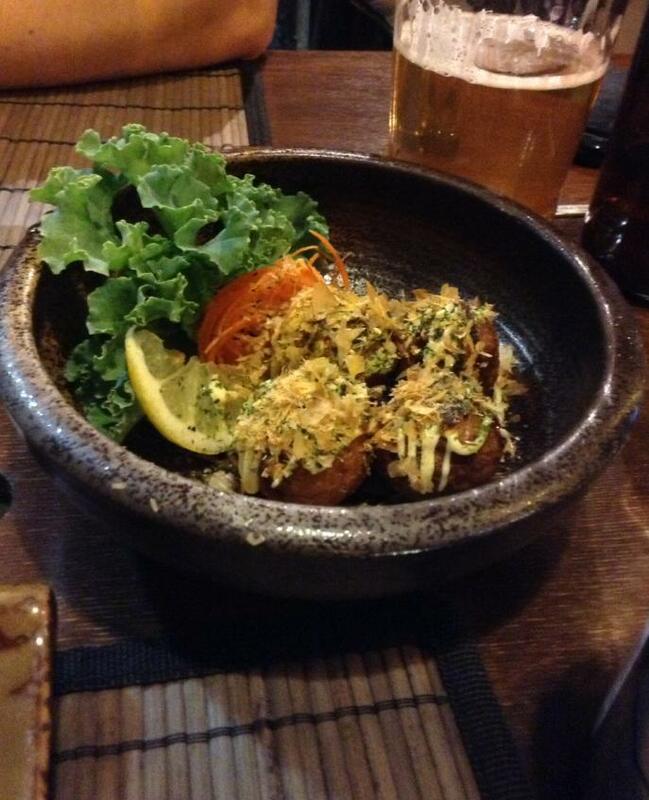 Raku has a Chef who –by our local standards — can certainly surprise with some inspired creations (his takoyaki, on this evening, being a great example). If you stick to proper isakaya items and factor the fact that they are more into refinement rather than bold isakaya textures/flavors, you’ll certainly appreciate that this Chef performs a notch above the norm for this kind of food in Mtl & its surroundings.